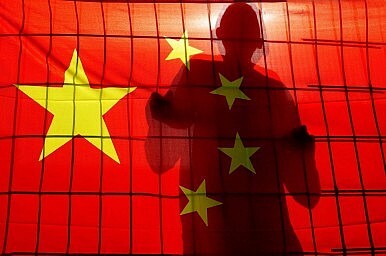 Why Did China Detain a Swedish Citizen? Plus, military drills alarm Taiwan, China’s water crisis, and Monster Hunt comes to the US. Friday China links. In other news, the heads of the Chinese and U.S. navies conducted a scheduled video call on Tuesday; DefenseNews has the story. While maritime tensions – especially in the South China Sea – were on the agenda, Admirals John Richardson and Wu Shengli accentuated the positive. Both sides, for example, declared themselves “satisfied and encouraged” by the use of protocols to guide unplanned encounters at sea. Fans of Chinese cinema in the United States should get ready: China’s smash hit Monster Hunt is being released in select theaters in the U.S. today. And, like many Hollywood films that show in China, the film will be tweaked for its overseas audience – namely, a scene that shows puppies for sale at a meat market is being scrapped, according to The Wrap. “We thought some of the scenes might take audiences here aback or confuse them, so they were cut in the dubbing process,” as one executive told The Wrap. Finally, a reference that will keep you busy all weekend: the East-West Center has put together a comprehensive look at each U.S. presidential candidate’s Asia experience and policy views. If you want to see what Hillary Clinton, Ted Cruz, and Donald Trump have said about China, the South China Sea, and the U.S. rebalance to Asia (as well as a laundry list of other Asia-related topics), head there and start browsing. How to manage tensions in the U.S.-China relationship after the South China Sea ruling.